Almaty Hotel (formerly Hotel Alma-ata) in Kazakhstan. Constructed between 1962 and 1967. Modernist, Soviet architecture in the former USSR. Palace of the Republic in Almaty, Kazakhstan (Central Asia). Completed in 1970. Modernist, Soviet architecture in the former USSR. Republican School Children’s Palace in Almaty, Kazakhstan. Formerly called the Palace of the Pioneers. Modernist, Soviet architecture in the former USSR. 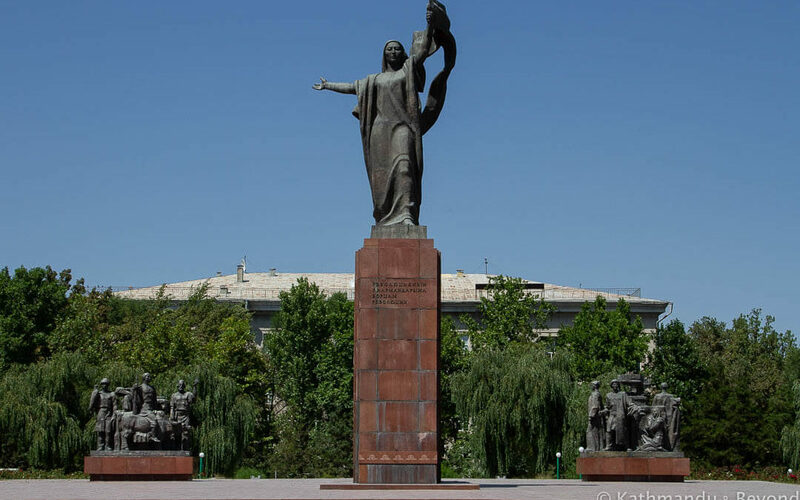 Statue to Martyrs of the Revolution in Bishkek Kyrgyzstan. Completed in 1978. Alternative name: Monument to Urkuya Salieva. Soviet monument in former USSR. 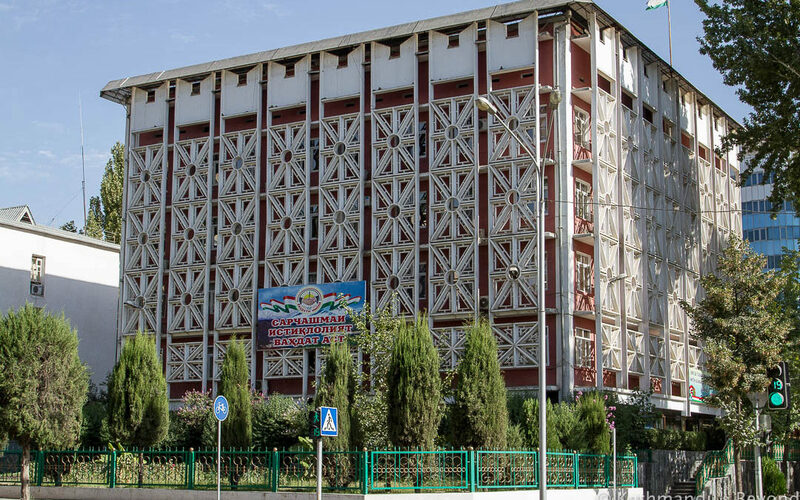 Ministry of Economic Development and Trade in Dushanbe, Tajikistan. Modernist style, Soviet architecture in the former USSR. Mosaic of Avicenna in Dushanbe, Tajikistan. Created in 1988 by artists Alexander Grigorov and Ilya Ilyaev. Soviet artwork in the former USSR.